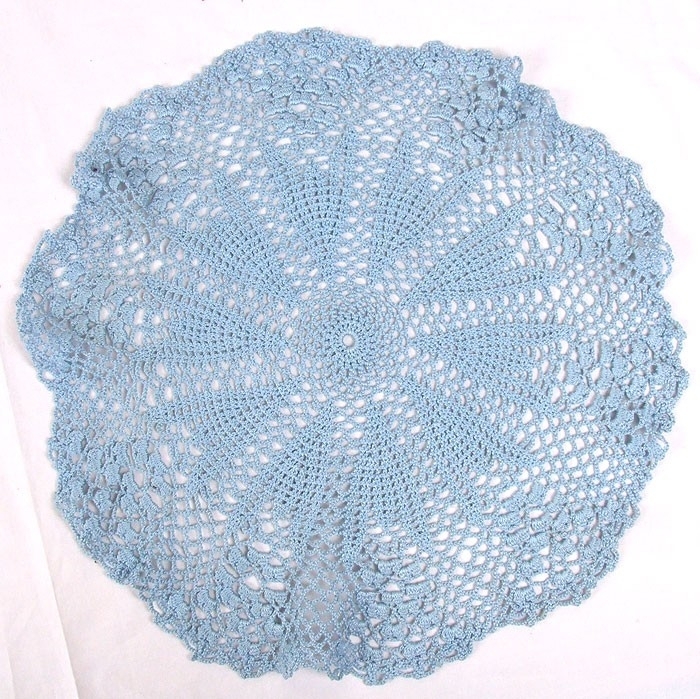 Beautiful needlework has been used in the service of God since as early as the 4th century AD. Istok Church Supplies is delighted to offer a variety of embroidered church appliques that carry forward centuries of traditional needlework techniques. 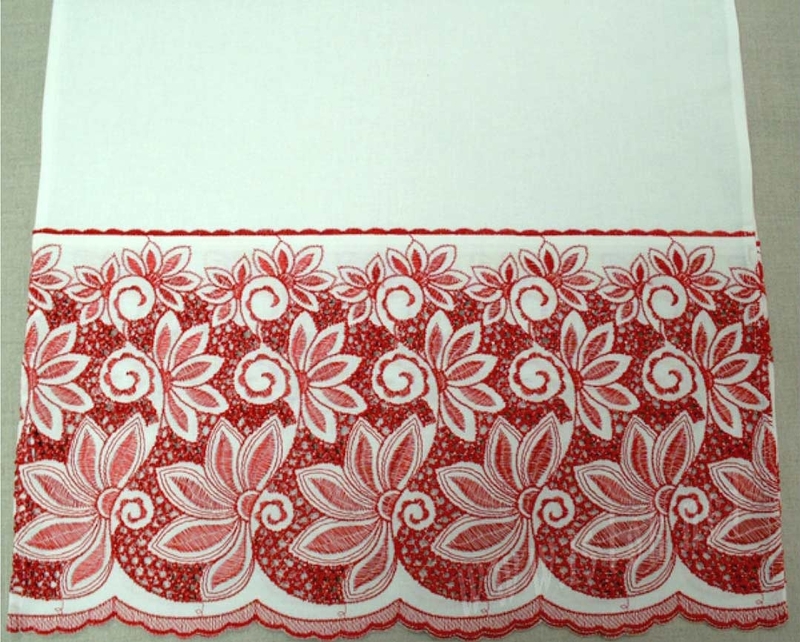 Why is Ecclesiastical Embroidery Prized? 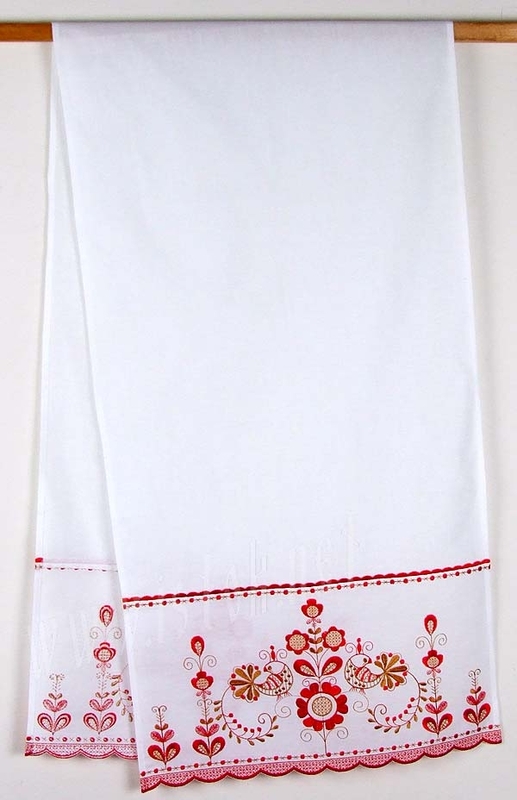 Pictorial in nature, ecclesiastical embroidery serves two main purposes – ornamentation and conveying the basic teachings of the Orthodox Christian faith. 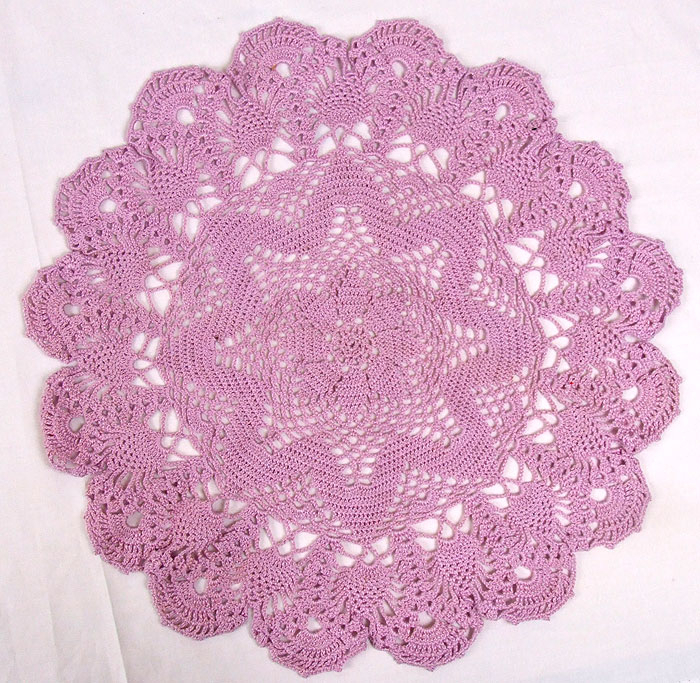 This type of needlework requires skill, understanding of traditional techniques, patience and dedication to master. There are not many teachers and not many students who take up ecclesiastical embroidery. The ones who take it up do it because of a divine calling and determination to preserve ancient traditions. Istok Church Supplies has master embroiderers in whose hands needlework is elevated into an exalted art form. 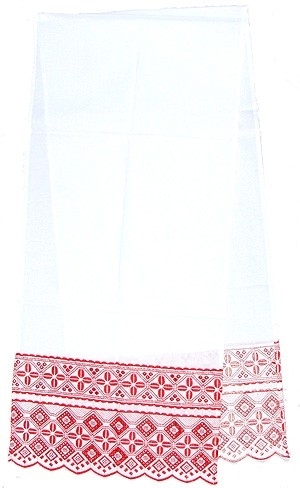 We offer a broad range of embroidered church applique products including napkins, kerchiefs and traditional Russian roushniks that are suitable for church use. 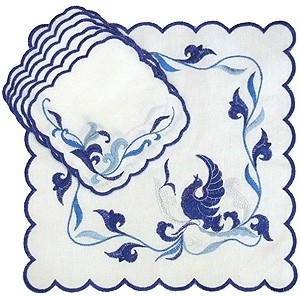 Featuring delicate pictorial embroidery rendered painstakingly by hand, the napkins in this section are suitable choices for important events such as Paschal, weddings, Palm Sunday, Nativity and New Year. 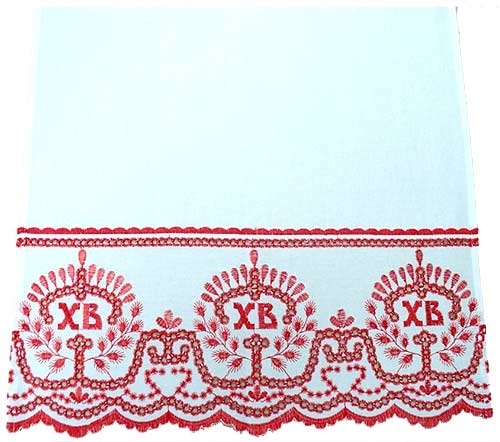 We offer embroidered napkins in various shapes including round, oval, square, three layers and napkins for Paschal koulich. 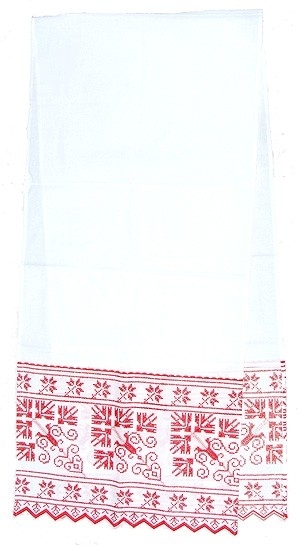 We understand that roushniks are an important part of Russian life and used for significant church rituals. 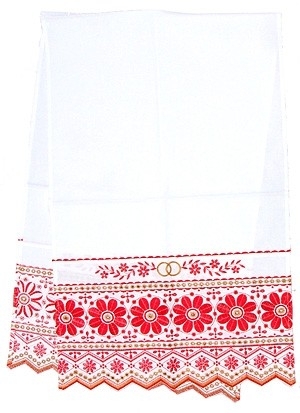 The roushniks we offer have traditional, meaningful embroidery patterns that enhance their value. 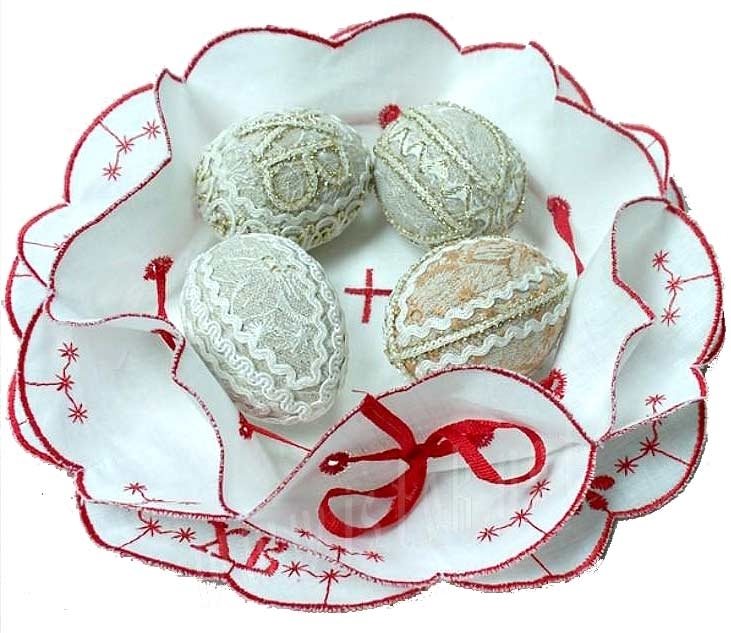 Whether you are looking for an embroidered Nativity roushnik, wedding roushnik, Paschal roushnik or an embroidered roushnik wedding set, you will find it in our collection. Besides these, we also offer embroidered dining sets and baptism sets for boys and girls which make precious gifts to give to your near and dear ones. 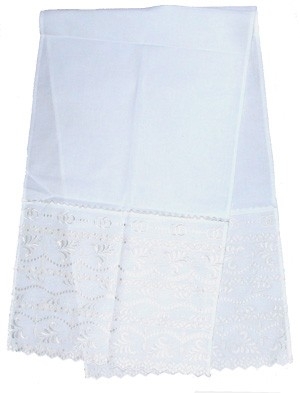 Our embroidered church applique products deliver incredible value for their price. Explore the entire range - with prices so affordable, you won’t be able to stop with just one purchase!